1. Gene expression changes in HLA mismatched mixed lymphocyte cultures reveal genes associated with allorecognition, V. Nicolaidou1, C. Stylianou2, L. Koumas, G. S. Vassiliou, K. B. Bodman-Smith & P. Costeas, Tissue Antigens. 2015 Apr;85(4):267-77. 3. cDNA synthesis for BCR-ABL1 detection at the MMR level: the importance of using the appropriate kit. 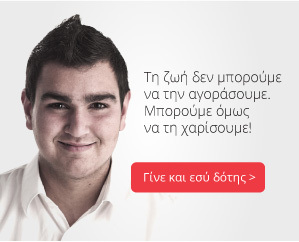 Chi J, Pierides C, Mitsidou A, Miltiadou A, Gerasimou P, Costeas P. Biol Proced Online. 2015 Feb 9;17(1):4. doi: 10.1186/s12575-015-0014-x. eCollection 2015. 5. Characterization of gene mutations and copy number changes in acute myeloid leukemia using a rapid target enrichment protocol. Bolli N, Manes N, McKerrell T, Chi J, Park N, Gundem G, Quail MA, Sathiaseelan V, Herman B, Crawley C, Craig JI, Conte N, Grove C, Papaemmanuil E, Campbell PJ, Varela I, Costeas P, Vassiliou GS. Haematologica. 2015 Feb;100(2):214-22. Epub 2014 Nov 7. 6. Calreticulin mutations in myeloproliferative neoplasms and new methodology for their detection and monitoring. Chi J, Manoloukos M, Pierides C, Nicolaidou V, Nicolaou K, Kleopa M, Vassiliou G, Costeas P. Ann Hematol. 2015 Mar;94(3):399-408. Epub 2014 Oct 29. 7. Calreticulin gene exon 9 frameshift mutations in patients with thrombocytosis. Chi J, Nicolaou KA, Nicolaidou V, Koumas L, Mitsidou A, Pierides C, Manoloukos M, Barbouti K, Melanthiou F, Prokopiou C, Vassiliou GS, Costeas P. Leukemia. 2014 May;28(5):1152-4. Epub 2013 Dec 24. 8. Detailed molecular characterisation of acute myeloid leukaemia with a normal karyotype using targeted DNA capture. Conte N, Varela I, Grove C, Manes N, Yusa K, Moreno T, Segonds-Pichon A, Bench A, Gudgin E, Herman B, Bolli N, Ellis P, Haddad D, Costeas P, Rad R, Scott M, Huntly B, Bradley A, Vassiliou GS. Leukemia. 2013 Sep;27(9):1820-5. Epub 2013 Apr 18. 9. Induction of discrete apoptotic pathways by bromo-substituted indirubin derivatives in invasive breast cancer cells. Nicolaou KA, Liapis V, Evdokiou A, Constantinou C, Magiatis P, Skaltsounis AL, Koumas L, Costeas PA, Constantinou AI. Biochem Biophys Res Commun. 2012 Aug 17;425(1):76-82. Epub 2012 Jul 20. 10. Homocysteine levels and MTHFR polymorphisms in young patients with acute myocardial infarction: a case control study. Eftychiou C, Antoniades L, Makri L, Koumas L, Costeas PA, Kyriakou E, Nicolaides E, Papadogiannis D. Hellenic J Cardiol. 2012 May-Jun;53(3):189-94. 11. Donors as research subjects: a challenge. King R, Schmidt AH, Costeas P, Egeland T. Bone Marrow Transplant. 2012 Apr;47(4):605-6. Epub 2011 Jun 13. 12. Unrelated hematopoietic stem cell donors as research subjects. King RJ, Confer DL, Greinix HT, Halter J, Horowitz M, Schmidt AH, Costeas P, Shaw B, Egeland T; Ethics and Clinical Working Groups of World Marrow Donor Association. Bone Marrow Transplant. 2011 Jan;46(1):10-3. Epub 2010 Mar 1. 13. Haematopoietic stem cell donor registries: World Marrow Donor Association recommendations for evaluation of donor health. Sacchi N, Costeas P, Hartwell L, Hurley CK, Raffoux C, Rosenmayr A, Greinix H; Quality Assurance and Clinical Working Groups of the World Marrow Donor Association. Bone Marrow Transplant. 2008 Jul;42(1):9-14. doi: 10.1038/bmt.2008.76. Epub 2008 Mar 24. 14. Th2/Th3 cytokine genotypes are associated with pregnancy loss. Costeas PA, Koumouli A, Giantsiou-Kyriakou A, Papaloizou A, Koumas L. Hum Immunol. 2004 Feb;65(2):135-41. 15. Genetic assessment of cardiovascular risk factors in the Greek Cypriot population. Koumas L, Costeas PA, Papaloizou A, Giantsiou-Kyriakou A. Thromb Res. 2003;112(3):143-6. 16. Cytokine polymorphism frequencies in the Greek Cypriot population. Costeas PA, Koumas L, Koumouli A, Kyriakou-Giantsiou A, Papaloizou A. Eur J Immunogenet. 2003 Oct;30(5):341-3.